Independent TD for Donegal has today slammed Fine Gael for their decision to cut funding for the development of the A5 saying “Donegal has once again been dropped off the political agenda”. “Unfortunately it is typical that due to Fine Gael’s own mismanagement of public funds for the national children’s hospital, much needed transport infrastructure for Donegal is the first item to go. I question their capacity to manage public infrastructure projects as well as their ability to prioritise infrastructural needs appropriately across the country. “Donegal has been waiting for an incredibly long time for an upgrade to the A5 and it was something I have campaigned for in all my time in politics. It is worrying that Fine Gael has the power and the scope to withdraw or delay funding for Donegal’s infrastructural needs overnight in an attempt to save their own skin on the national stage. 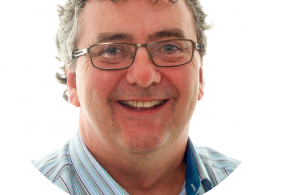 “Now there are talks that upgrades to the Sheila Hospital in Ballyshannon might be under threat too which could affect access to health services for constituents in the south of Donegal. Fine Gael must move to reassure people that other infrastructural projects are not under threat. “I think this confirms the distrust that’s out there already with Fine Gael on funding commitments in Donegal. This whole debacle is further proof of the inability of political parties to develop infrastructure equally across all parts of Ireland and where need is the greatest. “Minister McHugh’s recent comments that commitment for A5 funding is still going ahead and that funding has merely been deferred, are dishonest. Commitments are no good without the funding to back them up. We need assurances that funding won’t be put back again when the political agenda changes next year. 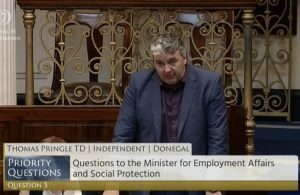 Donegal cannot afford to be taken off the agenda for much longer and until Fine Gael realises that their commitments cannot be trusted” concludes Pringle.